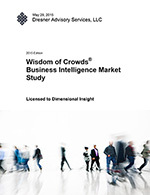 Dimensional Insight outscores all other BI vendors in this independent BI user survey. 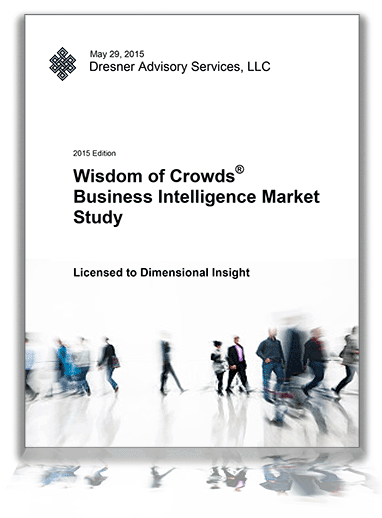 Download the 2017 Wisdom of Crowds Business Intelligence Market Study today! 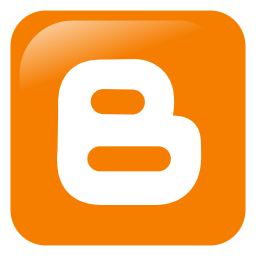 Perfect tool to help you select a BI Vendor. $795 retail value - yours free when you complete and submit the form. As a professional courtesy please provide accurate information. We do not share contact information with 3rd parties. 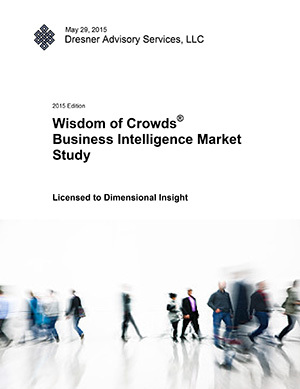 Dimensional Insight Remains a Top Performer. Brand credibility and end-user experience propel company to 8th consecutive year of industry recognition. ©2017 Dimensional Insight, Inc. Dimensional Insight and the Dimensional Insight logo are trademarks of Dimensional Insight, Inc. All other trademarks are the property of their respective companies.